Well it's been a few years since I've seen the iconic image of Skokie the Otter (well, iconic at least in the mind of a boy who grew up in Muskoka in the early '80s), but I'm glad to say that he's aged very well, doesn't look a day over 30. I gotta say, seeing Skokie does bring back memories of my youth and Winter Carnivals of yore; snow sculpture contests, speed hammering nails into logs, matinee movies and hot chocolate. Oh, those heady days of my youth. For not thinking about it for almost a quarter century, the images are still pretty clear in my mind. 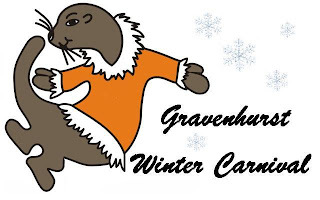 Yes, its been about 25 years since I've taken part in the Winter Carnival but I'm excited to announce that once again I'm going to be taking part in this fantastic annual event. The Winter Carnival did go on hiatus for a few years and coincidentally, I also left the comfy confines of the Muskoka borders, but now we're both back. Skokie rides again! This time I'll be bringing a few friends with me, The Sawdust City Brewery. 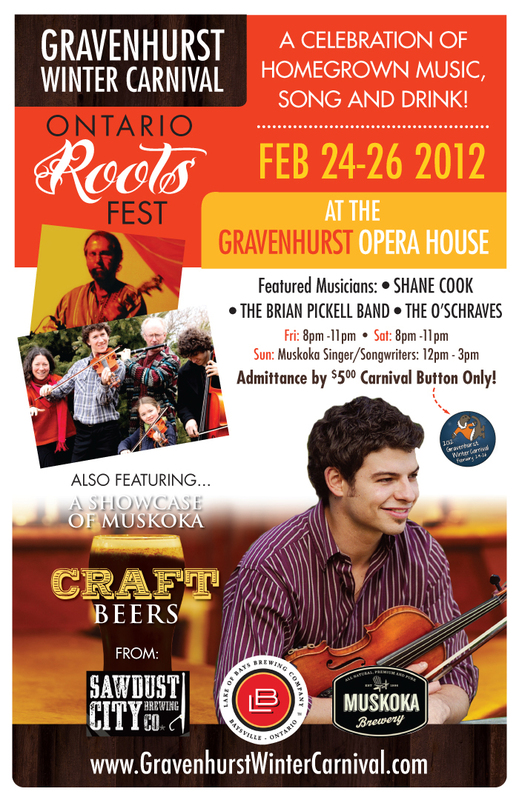 Rob "The Big Kahuna" Engman and myself, along with the rest of the Sawdust City team, will be bringing a few of our new beers along with us to pour at the Gravenhurst Opera House throughout the duration of the festival. 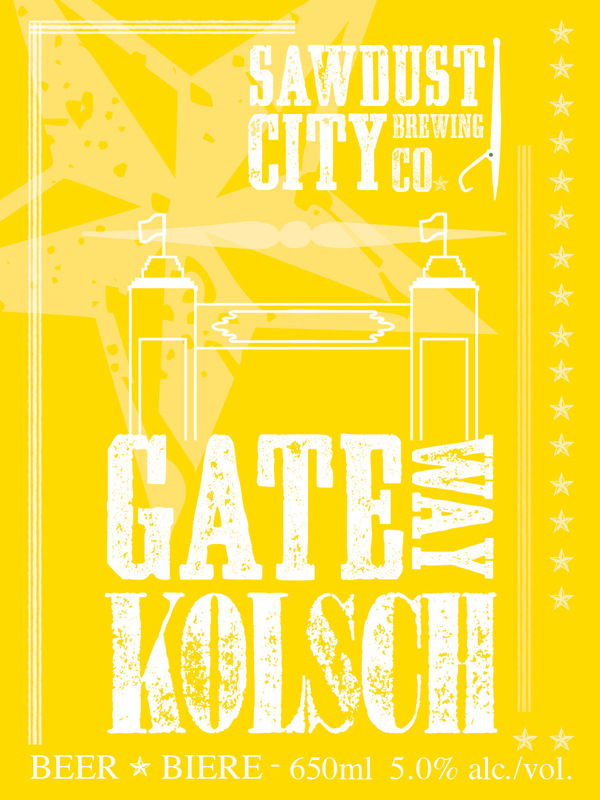 Skinny Dipping Stout and Gateway Kolsch will be making their debut's in our home town. So when you come out for some great music, why not grab yourself some great craft beer too! 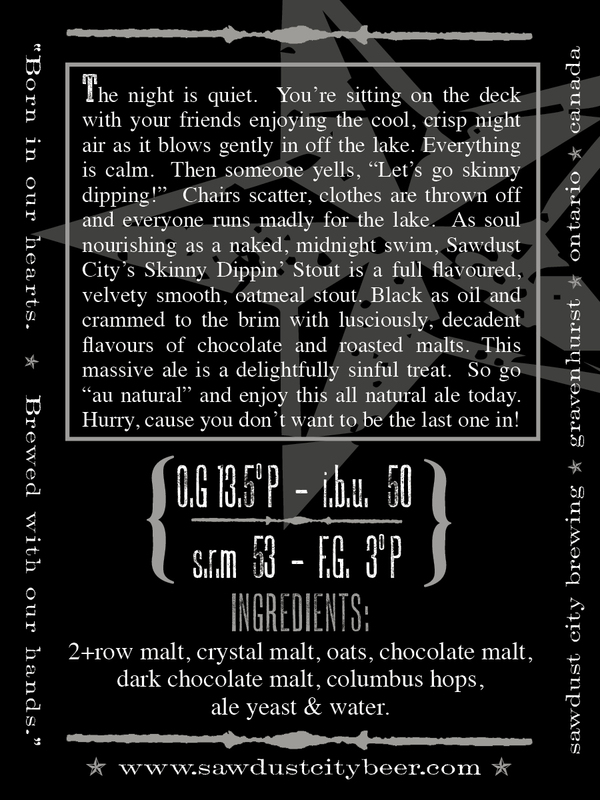 And for more information of our beers, check these labels, they'll give you an idea what you're in store for. We've got a little something for everyone with these two brews. A dark, rich stout for those of you who like bolder beers. 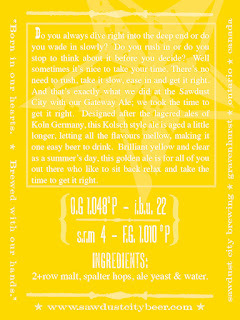 And an easy drinking, more mellow kolsch, for those of you who like the lighter brews. Both are packed with flavour so for those of you who just wanna try great beer, have a little of both! 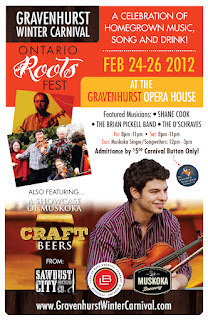 We've had beer in Muskoka before, at the Mighty Griffin Gastropub, but neither of these brews have been here before. In fact, they've never been any where before, this is the first time we've brewed both of these and I'm really excited to be showcasing them on our home turf! They both been brewed and are patiently aging away in their respective fermenters, biding their time until they are unleashed upon the thirsty public. 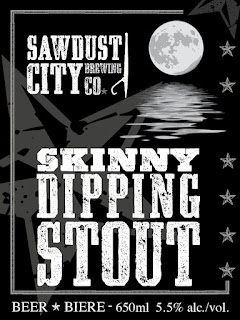 Skinny Dipping Stout is a hardy brew, perfect for this time of year. 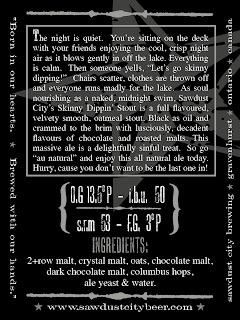 Loaded with chocolate forward flavours of roasted malts this is a fantastic winter beater. 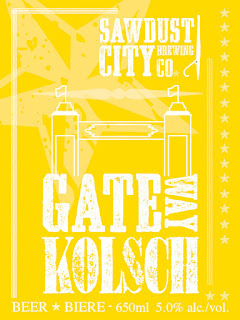 Gateway Kolsch on the other hand is drinker! 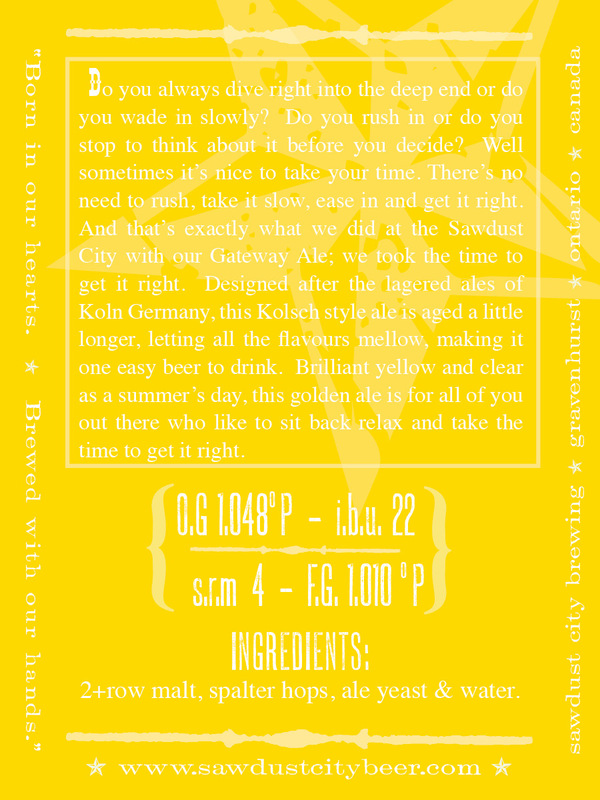 Designed after the Kolsch beers of Koln Germany, this light lagered ale is a session beer by design. At 4.5% abv and made with soft German pilsner malt, you may find yourself having more than a few of these! 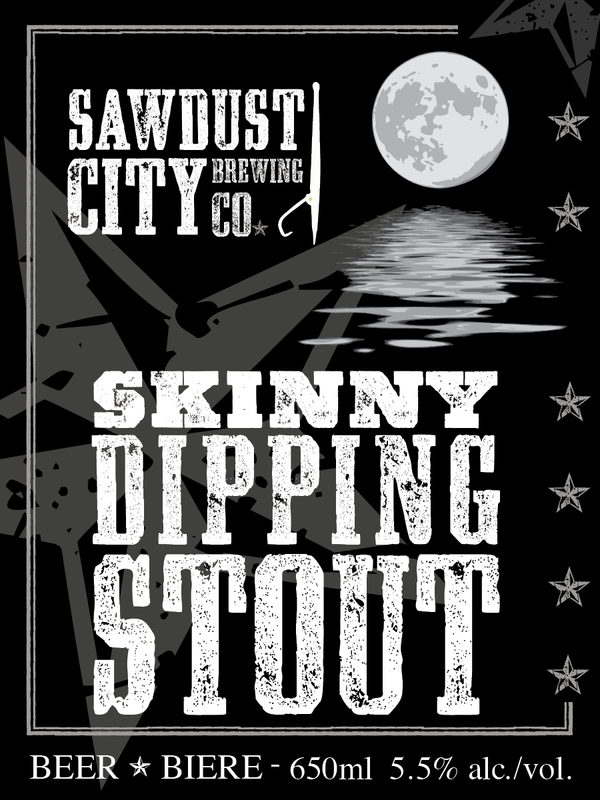 Sawdust City won't be the only brewery there though, Lake Of Bays and Muskoka Brewery will also be pouring at the event, which is fantastic. We're so proud to be a part of this event and we're even more proud that we get to be standing beside our brewery brethren. Both Lake of Bays and Muskoka make great beer, so we're going to have to bring our A game if we plan on standing next to them.